With the sheer number of ads that we are presented with while at movie theaters, it is normal for the marketing of some films to be overshadowed by others. One of the important concepts in advertising is to create something different and memorable so the products get noticed, but it sometimes requires the advertising company to be bold. Disney/Pixar has done a great job at creating a Monsters University marketing campaign that capitalizes on the school that the film is based around. The film’s in-theater advertising, which first emerged in February, has also been creative. After the break, take a look at some more fun displays that have started to appear in movie theaters. 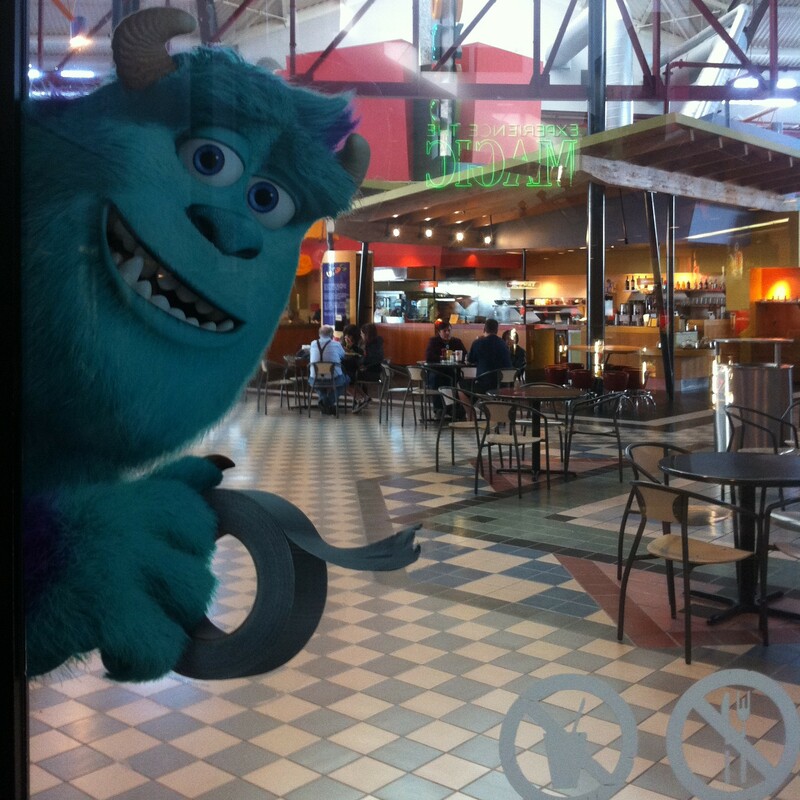 We have already seen what the first Monsters University theater standees look like, but now Disney/Pixar has started to distribute window clings that embody the contentious relationship between Mike and Sulley. The ID cling, which will surely have people lining up their heads behind to snap a picture within the empty box, is very similar to the standee we saw a few months back. 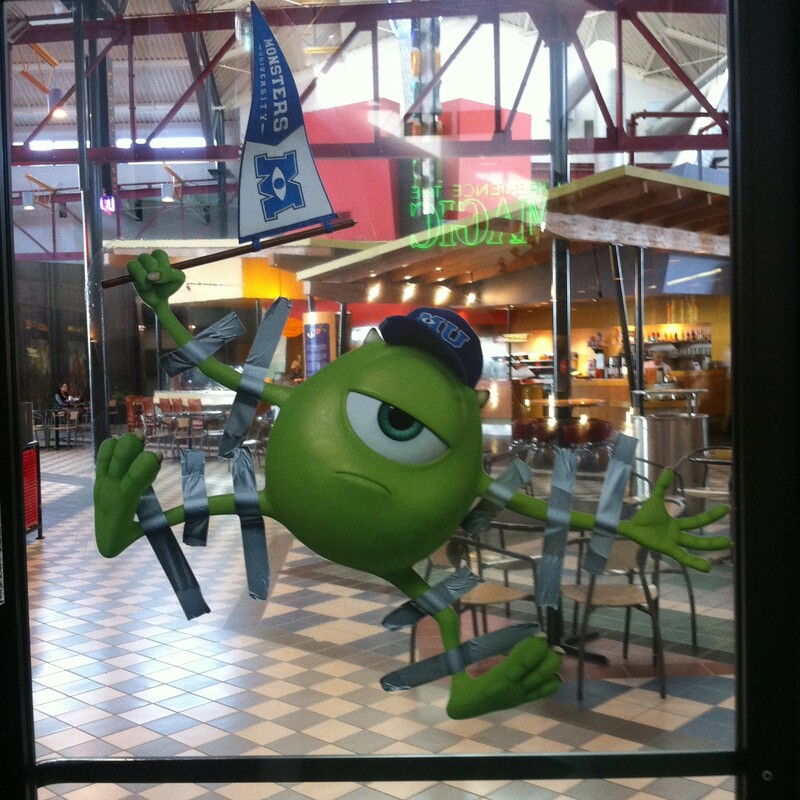 Mike does not appear to be too thrilled with being taped up to the window. Thanks to Pixar Times friend Eddie for sending these in! 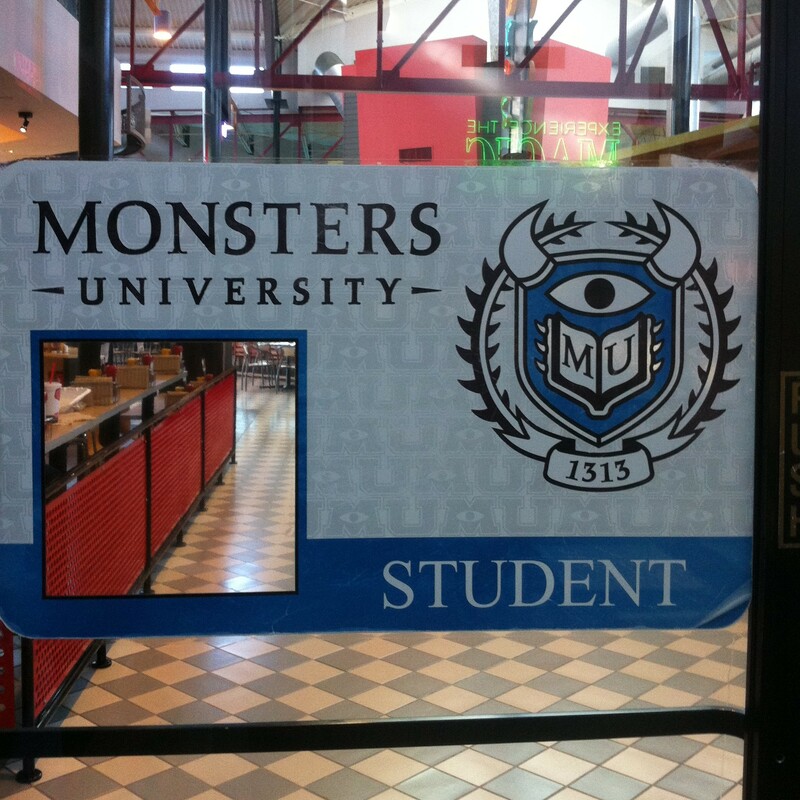 Monsters University hits theaters on June 21.